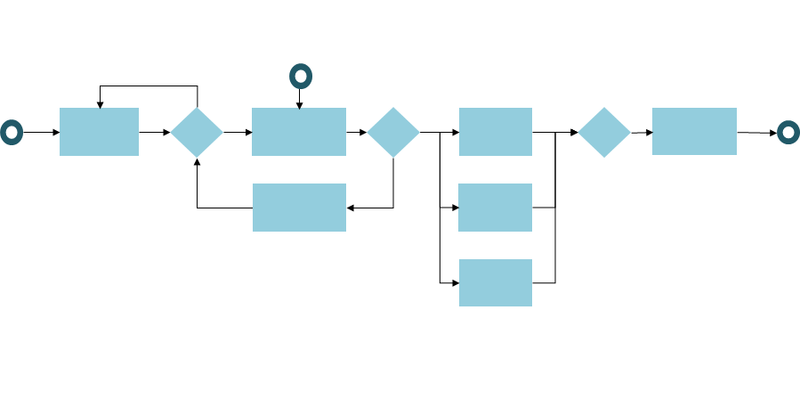 That is the way we humans think: we plan a sequence with a goal and the workflow is the best graphic way to show the process we have in our minds. In an artifact-centric model, this is also the best place to start. For internal or human driven processes, exceptions can be avoided or manually handled. If the process is exposed to an external agent, such as a customer, and the process is automated, the model find its limit. In artifact-centric, sequence is not part of the design. Each step is the result of the work-object status. This is a traditional industrial model. Personalization comes at a cost because it shows as a different path and it complicates the final design. This model finds a limit in complexity. In artifact-centric, each work object has its own journey, as there is no mandatory sequence. The linear process focuses in getting the tasks done in their order. It does not provide tools to handle what does not happen. However, the process involves external agents, chances are that things do not happen and a big share of the effort goes in follow-up. In an artifact-centric model, actions to be triggered after an event are design precisely in the same way as actions to be triggered by the lack of it. In internal processes, the scope is often limited to an area or department. 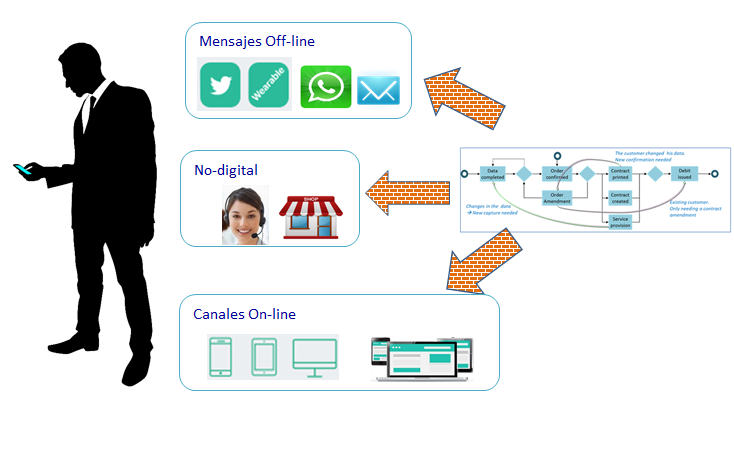 Digital processes, on the contrary, are reflected on multiple spaces: follow-up messages to the customer, front-end systems, outsourced third parties… BPEL find its limit in this multiple dimensions of the same process. In artifact-centric, each process vision is reflected as a lifecycle and a case may have several visions and lifecycles.